How to choose forklift accessories? 1. 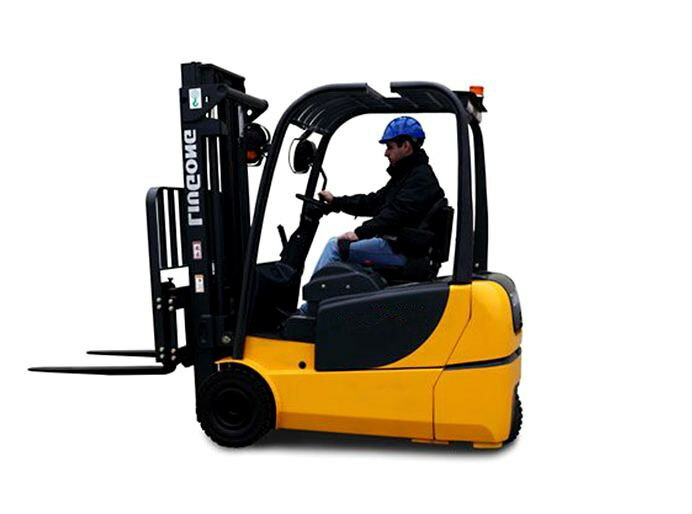 See if the part number and specifications of the forklift attachments are suitable. Most forklift accessories have a specific part number and technical parameters. If you purchase electrical system accessories, you should check whether the voltage and power of the replaced components are the same. When purchasing the forklift engine drive belt, pay attention to the model and length. 2. See if the trademark logo of the outer packaging is complete. The quality of the outer packaging of high-quality forklift parts is relatively good, and the writing on the box is clear and the overprinting color is clear. Some important components such as generators, starters, hydraulic pumps, etc., are also equipped with instructions for use, certificates and inspectors to guide the user in the proper use of maintenance methods. Therefore, you should carefully recognize when purchasing, in case you buy fake and shoddy forklift accessories. 3. Look at the shape and size of the forklift accessories for deformation. Some forklift parts are subject to deformation due to improper manufacturing, logistics, and storage. During inspection, the shaft parts can be rolled along the glass plate to see if there is any light leakage at the fitting between the parts and the glass plate to judge whether it is bent. When purchasing the forklift clutch driven plate steel or forklift friction plate, the steel piece can be used. The friction plate is held in front of the eyes to observe whether it has warpage. When purchasing the seals such as the forklift oil seal, the oil seal end face with the skeleton should be rounded, and can be attached to the flat glass without warping; the outer edge of the non-frame oil seal should be correct. It is deformed by hand and should be restored to its original state after releasing the hand. Extension Anlind forklift accessories indicate that when purchasing all kinds of gaskets, you should also check the geometry and shape of the accessories with professional gauges. During the handling and storage of forklift parts, burrs, indentations, breakage or cracks may occur at the joints due to vibration and bumps, which may affect the installation and use of forklift parts. This should be checked at the time of purchase or inspection. The surface of the qualified parts has a certain precision and a bright finish. The more important the parts, the higher the precision, and the stricter the anti-rust and anti-corrosion of the package. Pay attention to inspection when purchasing or inspection. If the accessories are found to have rust spots, mildew spots, rubber cracks, loss of elasticity, or obvious turning pattern on the surface of the journal, it should be replaced. Most accessories are factory coated with a protective layer. For example, the piston pin and the bearing bush are generally protected by paraffin, and the piston ring of the forklift and the surface of the cylinder liner are coated with anti-rust oil and wrapped with wrapping paper. Valves, pistons, etc. of forklift engine parts are immersed in rust preventive oil and sealed in a sealed plastic bag. If you find that the sealed bag seal is damaged, the packaging paper is lost, the rust preventive oil or paraffin is lost, you should return or exchange it. In the inspection of forklift parts assembled from two or more parts, the parts are formed by press fitting, gluing or welding, and no looseness is allowed between the parts, such as the forklift pump plunger and The adjusting arm is assembled by press fitting; the forklift clutch pressure plate and the clutch plate are riveted and combined, the forklift friction plate and the steel piece are riveted or glued; the filter element skeleton of each filter element is glued to the filter paper; The electrical wire ends of electrical equipment are welded. If it is found to be loose during purchase, it should be exchanged. When selecting the rotating parts assembly such as the forklift oil pump, turn the pump shaft by hand, feel flexible and no stuck; when selecting the needle bearing, support the inner ring of the bearing with one hand and the outer ring with the other hand. The outer ring should be able to Rotate quickly and then gradually stop. If the rotating parts do not rotate, it indicates that the internal corrosion or shape has been deformed, which will affect the use, and should be returned or exchanged. High quality forklift assembly components such as the clutch or transmission assembly of the forklift gearbox system, the spare parts provided in the assembly must be fully completed to ensure smooth assembly and normal operation of the assembly. The extension of the Ang Linder forklift accessories reminds that if some small parts on some assembly parts are missing, the assembly parts will not work or even be scrapped. In order to ensure that the assembly relationship of other fittings meets the technical requirements, the surface of some parts (such as timing gears) is engraved with an assembly mark. If there is no mark or the mark is illegible, it will bring great difficulties to the assembly work, and even directly install the wrong. If there is any wear mark on the mating surface of the fitting, or if the painted lacquered part is painted on the surface and the old lacquer is found, it is mostly disguised as a scrapped scraping part. At this time, it can be directly requested to be returned. The surface hardness of each fitting has the specified requirements. After confirming the purchase and negotiating with the merchant, the steel saw blade can be used for the trial, and the scratching is smooth without scratches, indicating that the hardness is high; The hardness is higher; there are obvious marks after the stroke, indicating that the hardness is low, but it is necessary to pay attention to not damage the working surface of the fitting during the trial.